Abstract cAMP is an ubiquitous second messenger that is crucial to many cellular processes. The sole means of terminating the cAMP signal is degradation by cAMP phosphodiesterases (PDEs). The PDE4 family is of particular interest because PDE4 inhibitors have therapeutic potential for the treatment of various inflammatory and auto-immune diseases and also have anti-depressant and memory-enhancing effects. 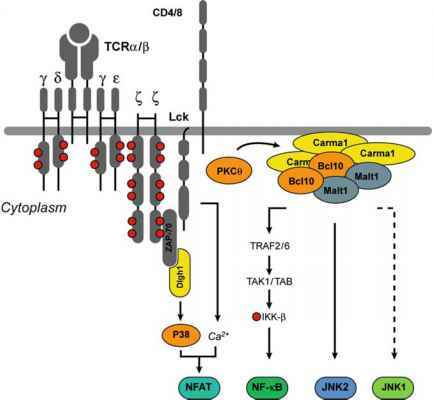 The subcellular targeting of PDE4 isoforms is fundamental to the compart-mentalization of cAMP signaling pathways and is largely achieved via proteinprotein interactions. Increased knowledge of these protein-protein interactions and their regulatory properties could aid in the design of novel isoform-specific inhibitors with improved efficacy and fewer prohibitive side effects.